I got married on April 28, 2012; or less than two and a half years ago. I’m by no means an expert on marriage, but it’s something I hold in high regard. For as long as I remember, even back to high school, marriage was something I looked forward to. I watched my parents and their marriage. I watched my grandparents. I watched my friends’ parents. I even watched TV marriages. If it was about marriage, I wanted to know about it. Within a couple months of dating Nicole, we started talking about marriage. We knew we weren’t ready for it, but we both had an end goal of marriage. We didn’t put pressure on our relationship to force things, but we also didn’t want to avoid the topic. It was something we valued so it became something we talked about. When we were planning our wedding ceremony, we were asked if we wanted to read Scripture at some point. Being completely anti-cheesy, I didn’t want to do the normal passages from 1 Corinthians or Eclessiastes. Instead, we went with the still stereotypical but less used Ephesians 5 passage on marriage. We chose to read it from the New Living Translation to make it more understandable for the people at the wedding who weren’t entrenched in church culture and the Bible. For husbands, this means love your wives, just as Christ loved the church. He gave up his life for her to make her holy and clean, washed by the cleansing of God’s word. I committed to doing whatever it took to help my wife become more holy and more like Jesus. Whatever it takes means whatever it takes. It doesn’t mean a selective section of actions at selective times. It means anything all the time. In the same way, husbands ought to love their wives as they love their own bodies. I can’t speak for Paul when he wrote this passage, but I’ve got to think this sentence made the cut because he knew how selfish and egotistical dudes are. If I love my wife the same way I love myself, I am forced to love her more than any person on the planet. For a man who loves his wife actually shows love for himself. No one hates his own body but feeds and cares for it. It’s amazing how I’m better at loving my wife when I’m taking care of myself physically, emotionally, and spiritually. It’s equally, if not more, amazing how I’m better at loving myself when I’m taking care of my wife physically, emotionally, and spiritually. It’s almost as if we were designed that way. So what’s all this have to do with the Ray Rice debacle? 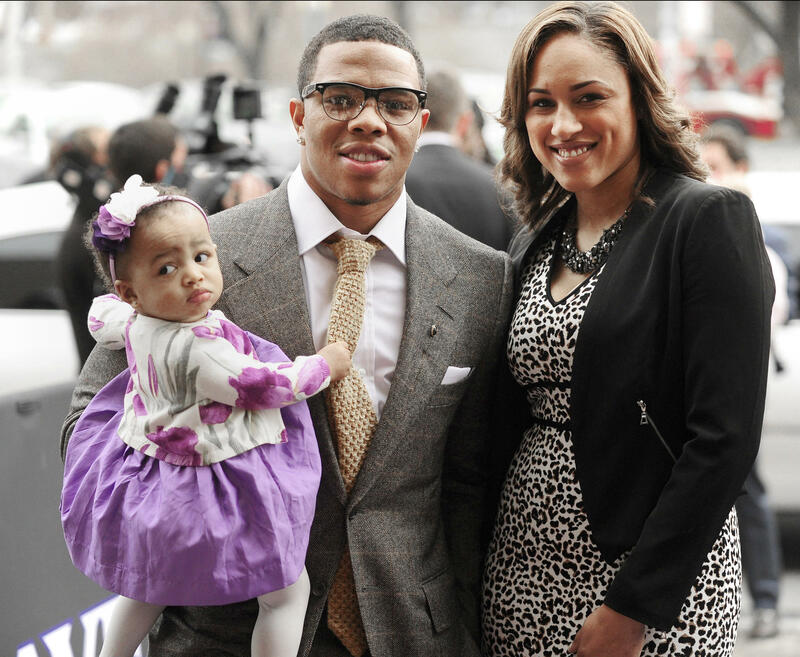 I’ll never hold a non-Christian to Christian standards, but there was a report in the New York Times this morning that both Ray Rice and his wife Janay have given their life to Jesus in the aftermath of the whole situation. Before I go any further, let me say this is the best news out of this entire thing. Jesus truly is the only hope for his their life, their marriage, and their future. For their marriage to work, and for any of our marriages to work, we have to hold ourselves to the Biblical standard of marriage. It’s a high bar and one that is hard to stay at, but we were never meant to get there on our own. The only way we can reach that bar is with the help of Jesus. That’s why the verses say we are to do things like him. He’s the standard. If the Ray Rice situation has taught me anything, it’s that it’s impossible for us to succeed in our marriages when we focus on ourselves. When we allow our emotions to control our reactions, we do things we regret. When we focus on Jesus, we are able to turn the other cheek, even when spit on. It’s my hope for the Rices, the Carones, and every person who reads this post, that their relationships are ruled by this passage of Scripture. If we seek to build our marriages (or even our dating relationships) on these verses, we’ll have healthy relationships with priorities in the right places. If we build them on anything else, we’ll end up with different versions of the Ray Rice tape. Is your marriage built on these principles? What changes need to be made this weekend? Things don’t go bad over night and they don’t get healthy over night. Fight for your relationship. Fight for your marriage. Fight for your holiness.